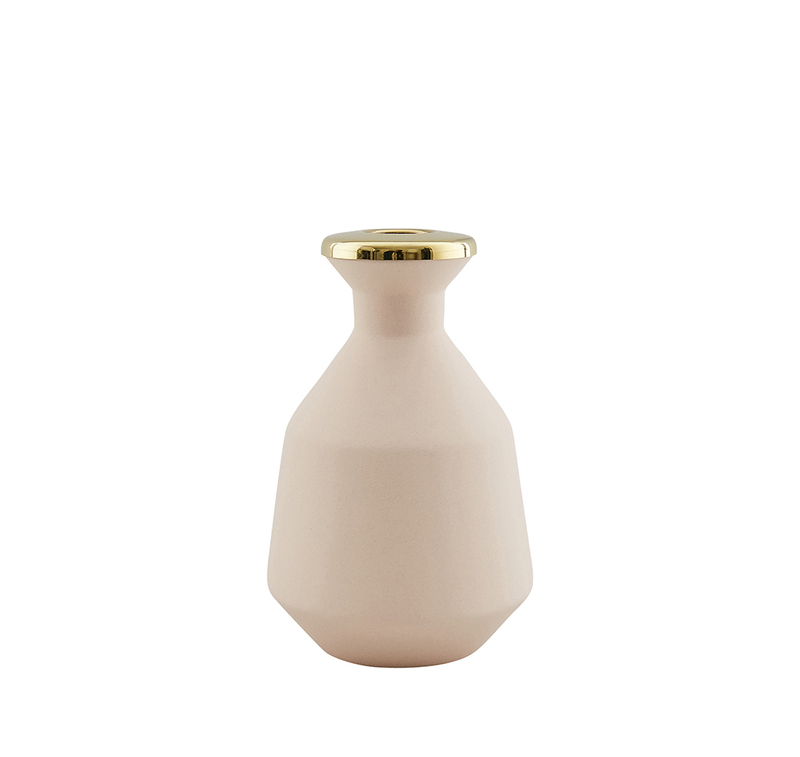 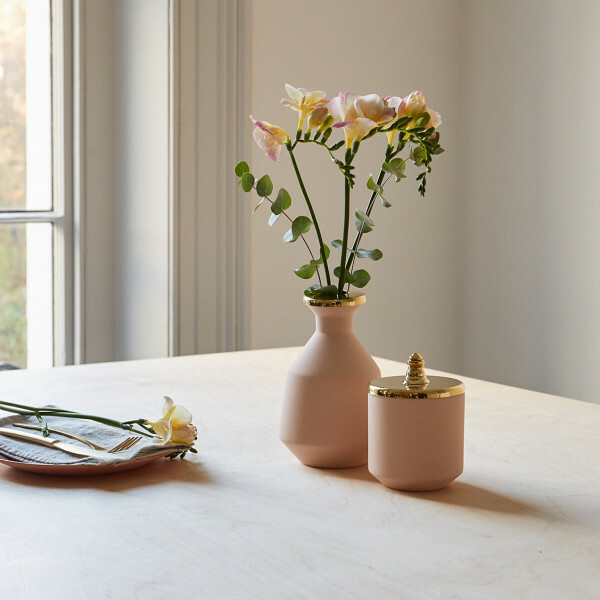 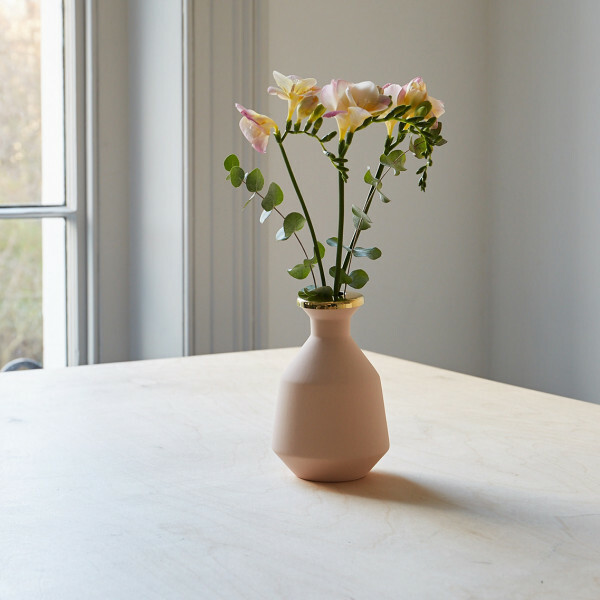 The Pink Small Vase, manufactured in Portugal and assembled in London. 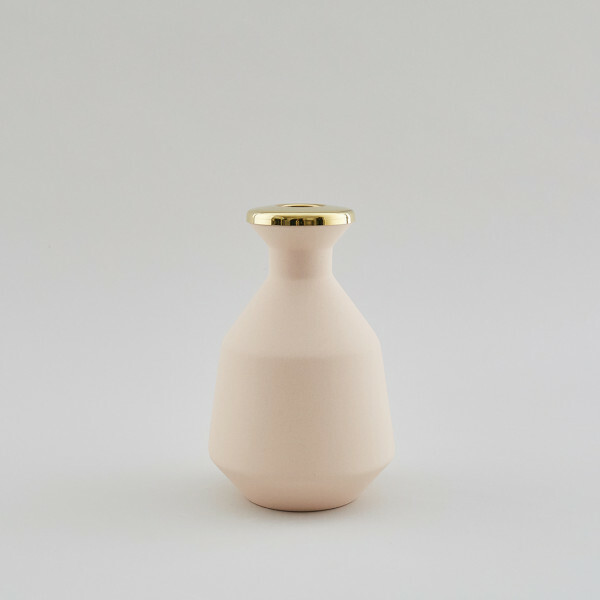 Hend Krichen continues the use of geometric forms to design her collections in order to maintain the style and essence of her work. 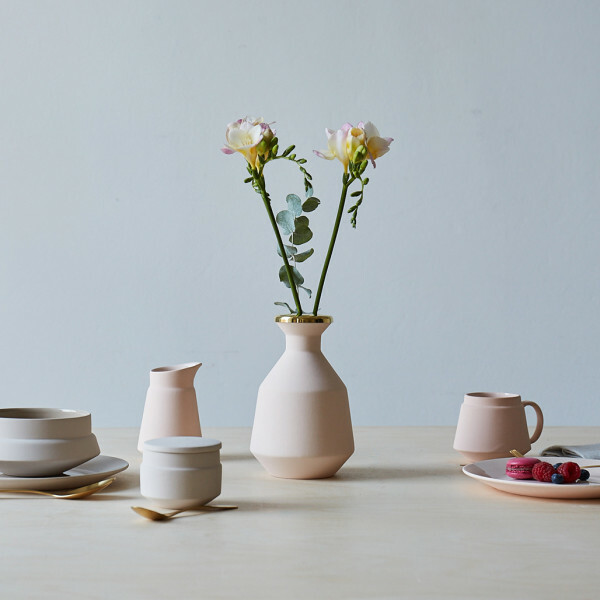 Designed to match the Pink Breakfast Set and play an integral part of the Dinning experience whilst using the Pink Tableware. The main body is handmade utilising earthenware which is kept natural on the exterior and gloss glazed in the interior to make this piece functional. 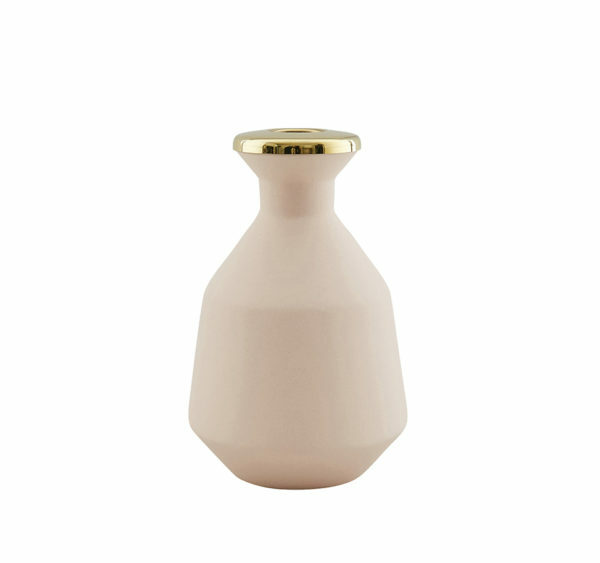 Finished with a beautifully spun brass which is polished to high shine to add an element of luxury.